Ralph Fucetola JD practiced law for 35 years, gaining a reputation as The Vitamin Lawyer. Today he consults with natural products companies and is a trustee of Natural Solutions Foundation and the Institute for Health Research. Ralph says he was a Youth for Goldwater in '64 and became a libertarian "in Murray Rothbard's living room..." He's been active as an advocate for freedom, starting with the Tax Revolt of the '70s, and continuing with the Ron Paul rEVOLution and health freedom movement. He says "the Natural Solutions Foundation, established in 2004 by Maj Gen Bert Stubblebein (US Army, retired) and Rima E. Laibow MD has given me a wonderful opportunity to have an 'encore career' advocating for health freedom. Right now we are focused on CBD hemp and on preparing major litigation to stop FDA and FTC censorship of free speech about health and foods." You can reach Ralph through his web site, www.VitaminConsultancy.com. 1. Ralph, you've been an advocate for freedom for over a half century. Today, with terror attacks on journalists and mass government spying on dissidents, what is the status of individual freedom? 2. Tell us a bit about your CBD project. What is it? 3. What is the Foundation doing about CBDs? We've applied our knowledge of organic growing to partner Agrofutoro, holder of the first, and only, CBD Hemp Growing Permit in Chile. We got the final permit yesterday! Soon we will have the world's first truly organic commercial supply of CBD hemp. 4. That's what I like about Gen. Bert, Dr. Rima and you... you walk your talk! Tell us about the health freedom litigation in which you're involved. [The Foundation has sought to confront the government to protect health freedom many times. In 2007 mass public response stopped the FDA's infamous "CAM Guidance" document that would have made nearly all alternatives illegal. In 2009 our Stop the Shot Mandated Swine Flu Vaccine litigation played a role in stopping the pandemic that never was, when millions refused to take the shot. Just in the past several months, the FDA and FTC have issued against us warning letters, regarding CBDs and other nutrients. We welcome this. It gives us the opportunity to assert Health Freedom of Speech in the courts. The government agencies are wrong when they try to censor speech about the relationship between foods (including supplements) and health. Understanding why takes us on a little trip through free speech case law. In 1905 Congress established the FDA's power. In 1911 the Supreme Court heard a challenge to the FDA's power and Justice Oliver Wendell Holmes wrote for the majority that there was no First Amendment issue because nothing in the law allowed FDA to control opinion speech. In 1912 Congress amended the law and the agency thinks that gave it power to censure speech. No one ever took that issue back to the Supreme Court. In 1933 Congress again enlarged FDA power. And remember what Dr. Ron Paul said about that: giving FDA power is giving it "power to abuse." Well, in 1933 the Compounding Pharmacies complained that the new law would stop them from compounding medications. Congress provided the industry with a loophole: they could continue to compound without prior FDA approval and could call themselves "Compounding Pharmacy" but could not tell the public what they compounded. And so this censoship law remained for decades. In 1994 Congress adopted DSHEA, the Dietary Supplement Health and Education Act, which allowed us to make some statements about supplements. I supported the law, to stop the raids on doctors and health food stores, but knew it was flawed. The major flaw was Congress compelling us to make an opinion statement on each bottle of vitamins: "Not intended to prescribe, treat, mitigate or cure..."
That was exactly the compelled opinion that the Supreme Court says is not within FDA's power. Then in 2002 the Supreme Court heard Thompson vs Western States, which finally challenged the 75 year old Compounding Pharmacy censorship rule. The Court ruled, in the words of Sandra Day O'Connor, that the Court has long held the government has no interest in stopping people from making bad decisions with truthful information. The censorship was overturned. Now it's our turn. As one retired Judge (and media commentator) of my aquaintance put it, "The sine qua non of compelled speech is truth." If Congress has the power to compel speech, it can only compel factually true speech; it cannot compel expressing an opinion! 5. Any last words for our audience? The Food and Drug Administration has proven to be the bureaucratic enemy of natural solutions to your health care needs. We, at Natural Solutions Foundation, are the spearhead of opposition to FDA's never-ending assault on your health freedom. 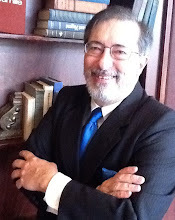 I am the legal director of Natural Solutions Foundation, Ralph Fucetola JD. During 35 years in legal practice I was known as The Vitamin Lawyer. For the past ten years I've been one of the Trustees of the Foundation. Established in 2004 by Maj. Gen. Bert Stubblebine (US Army ret.) 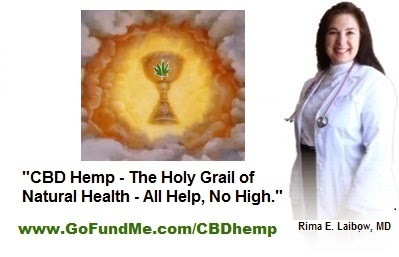 and Rima E. Laibow MD, the Mission of the Foundation is to "Discover, Develop, Demonstrate, Document and Disseminate natural solutions..."
You may have known us from helping us stop the 2007 FDA "CAM Guidance" that, if finalized, would have stopped natural means to achieve and maintain health. Or, perhaps you were among the millions of Americans who joined with us in 2009 to reject the unsafety-test Swine Flu Vaccine, thereby rejecting the pandemic that never was. I'm not writing about those achievements. Rather, let's talk about Ebola and Nano Silver 10 PPM. Dr. Rima Laibow has practiced drug-free medicine and psychiatry for over 40 years. She has long recommended Nano Silver for immune system support. Back in 2007 she spoke to dozens of African Ministers of Health in Mombassa about the emerging viruses and natural remedies. So it was natural that, during the Ebola Crisis, with even the World Health Organization (WHO) saying it is "ethical" to try even "unproven interventions" and there was a "duty to evaluate" them, that Dr. Rima would talk about Nano Silver and the hemorrhagic viruses. And that our Foundation would tell the world about the US government sponsored in vitro study, declassified in 2009, that showed Nano Silver 10 PPM supported normal cell membrane integrity in the presence of Ebola virus. The virus did not penetrate the living cells and could not replicate, thereby not leading to disease. Apparently the US government does not want us to tell people about this important study while we provide, on an overall nonprofit basis, the very same Nano Silver used in the study, as Dr. Rima Recommends Nano Silver 10 PPM: http://drrimatruthreports.com/us-govt-nano-silver-study-declassified-2009/ . So both the FDA and its sister agency, the FTC (Federal Trade Commission) issued a Warning Letter to us in September 2014 telling us to stop speaking what we understood to be truthful information. The Agencies based their demand on their interpretation of the Dietary Supplement Health and Education Act of 1994 (DSHEA) wherein Congress overstepped its Constitutional Limits and compelled every purveyor of nutrients to put on the label, "This product is not intended to diagnose, treat, cure or prevent any disease." Even if Congress had the power to compel us to speak or not speak, it does not have the power to compel us to express an opinion that we may or may not hold. This legal requirement violates the First Amendment to the Constitution and violates the Supreme Court cases of Johnson vs FDA (1911) and Thompson vs Western States (2002). As one well-known former Judge and media commentator told me about this, "The sine qua non of compelled speech is truth..." Government cannot compel us to express an opinion we do not hold. So we mean to take the FDA and FTC to court over this violation of our rights to Freedom of Speech and Freedom of Association. Based on advice we've received, if we can reach the Supreme Court, we have a very good chance of prevailing and overturning a century of censorship of Speech about Food and Health. To do so we have carefully responded to the Warning Letter with a Plan of Compliance (under protest) as required by the Warning Letter, in order to "exhaust our administrative remedies" before going to Court. We have also formally petitioned the FDA to allow us to make the truthful statements about Nano Silver that we believe we have a right to state. We have leading civil rights and health care attorneys working with us, but need to raise at least $100,000 to initially fund the lawsuit that we are calling The Health Freedom of Speech Lawsuit. We need your financial support to finally stop the FDA attacks on speech about food (including vitamins) and health. You can help fund our lawsuit by donating on this GoFundMe web site, which you can do anonymously. We also need you to tell your Congressional and State representatives that you want the FDA stopped, for, as Dr. Ron Paul famously said, to give more power to the FDA is to give it "more power to abuse..."
Remember to tell all your circles of influence: the time has come to take back our Freedom of Speech regarding Food and Health!